Back pain is a growing epidemic. Up to 85-90 percent of people have experienced back pain at one time or another. It can be caused by a variety of factors. Some examples of causes are poor posture, lifting heavy items in an incorrect manner or injury to the spine due to an accident. Often the back pain goes away of its own accord but sometimes it grows into a chronic condition. 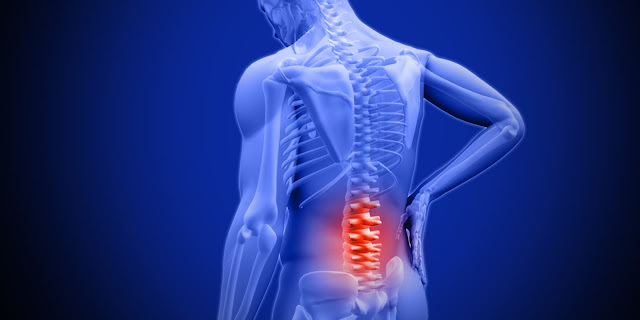 Chronic back pain is pain that lasts beyond six weeks, despite treatment. Severe, chronic back pain can make the slightest task seem like an insurmountable obstacle. Some days are going to be better than others. Sometimes suffers have a good day with minimum pain, other days they won’t be able to move from their bed. Often there is no pattern to why the back pain is so severe one day and fine the next. There are however strategies for avoiding back pain and if they can’t avoid it ways to lesson and control it. For a back pain sufferer it is important for them to learn to listen to their body. Normally people with back pain have warning signs about when their body has had enough. This can include a feeling of the muscles tensing and an uncomfortable feeling in the affected area. It is important not to do things that don’t feel right to the sufferer and their body. Doctors and specialists can advise, but only the sufferer dealing with the chronic pain can really figure out the best pain management for themselves. Rest has gone out of vouge with doctors and specialists who now generally prescribe exercise instead of rest. Sometimes however the pain is so severe and prolonged that bed rest is the only option. Sometimes if the pain is caught in the early stages and is rested, the next day the pain is more bearable and easy to manage. It is suggested that when resting that the sufferer should try and go about day to day life as much as possible but avoid activities that stress the back. This can include bending, lifting, turning from side to side, standing for long periods and sitting for long periods of time. Participating in exercise that strengthens the stomach muscles is recommended. The muscles in the stomach help support the back and with a strengthened core the sufferer is said to be able to support himself better and lessen the quantity and severity of the back pain. Fun methods of exercises that strengthen the core, that are suggested by doctors and specialists, are Pilates and Yoga. A hot water bottle or an ice pack applied to your back can often relieve tight muscles and reduce pain. Hot and cold compresses work by increasing blood flow to the injured area. It often is a matter of personal taste about what people prefer and once again it is a matter of figuring out what is right for their own body. There is nothing like a good massage to relax and to relieve pain. Massage works by increasing the blood circulation to the area. It also relaxes tensed muscles and relieves stress. Back massage can be administered by a professional or by someone close to the person suffering from the chronic pain. While suffering intense pain it is easy to become depressed. It is important for sufferers to have hobbies to do while bedridden. Some suggestions of activities that will not affect back pain are studying an interesting subject by correspondence, sewing, drawing, writing, keeping a journal and reading. Having a hobby not only gives the sufferer something to do but will help them take their mind off the pain. When the back pain is lessening it is important to do exercise so muscles do not atrophy. Exercise should not be overly vigorous and should be gentle on the body. Some suggestions for gentle exercises are a walk around the block or swimming.